Okay, guys, keep checking back on Part 7 because there was a lot of information that came out in the last twenty-four hours and I’m not going to be able to get it all out in one sitting. *Whew* information overload to say the least, am I right? But you know what? Confession time: I’ve been a little, let’s say, down the last few days because things have been kinda quiet with Vault 7, the Deep State isn’t going to leave Trump and his men alone any time soon, the bad guys really are that bad, and the fear of Assange being forgotten by our U.S. President during this time of utter chaos (plus the upcoming Ecuadorian elections!) is deeply concerning to me as I’m sure it is to others. So, I may need to pour myself a drink (or two) so my head doesn’t explode from all the new stuff that came out but I welcome it as a sign that things are progressing for the good guys. With that said, let’s start with today’s video hint from @AnonScan. 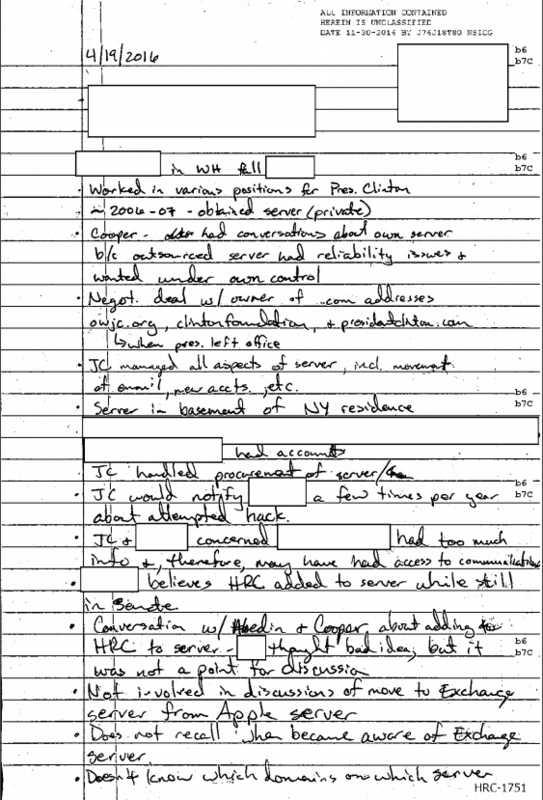 If we look at this page from the FBI Vault we can see that the FBI’s (horrible) handwritten notes were from an interview that took place on April 19, 2016. From what I can, Justin Cooper came up during the interview but I don’t think it’s actually Justin Cooper that they were interviewing at the time. This is just a guess but I think this might be from an interview that the feds had with Bryan Pagliano although I’m finding it hard to find sources that say he worked for President Clinton in 2006-2007. I haven’t dug around a lot so if anyone comes up with anything, great! The other thing is that if you do a Google search for the time frame around April 19, 2016, that when Bryan Pagliano’s name seems to show up. If you don’t know who Pagliano is he was the IT guy for Hillary who apparently avoided “multiple subpoenas to testify on Clinton’s email server.” Chaffetz wanted the guy charged. Again, without more time to dig, I’m wondering if this guy ever showed, like, at all in front of Congress or if he’s ever been seen since the email debacle came to light?? I do know where he does show up however. In Wikileaks documents 167 times. Going back to the @AnonScan video, the shot of the FBI file includes stuff I don’t understand like, “Cooper – [?] had conversations about own server b/c outsourced server had reliability issues & wanted under own control.” The file goes on to say “Negot. deal w/owner of .com addresses owjc.org (an arrow to a side note reads, “when pres. left office”), clintonfoundation, & presidentclinton.com”. From what I can tell from this interview, whoever the feds are talking to, they’re the ones that negotiated the .com addresses. BUT here’s what could ruin my Bryan Pagliano theory: One “Eric Hoteham” who, according to this website, may be Clinton’s former associate, Eric Hothem, is *maybe* the one that registered clintonemail.com, wjcoffice.com, and presidentclinton.com websites. If I have time later to go through the Wikileaks emails for more information I’ll let you know if I find anything. Okay, the shot of the FBI file in the @AnonScan video goes on to say, “JC [Justin Cooper] managed all aspects of server, incl. movement [?] 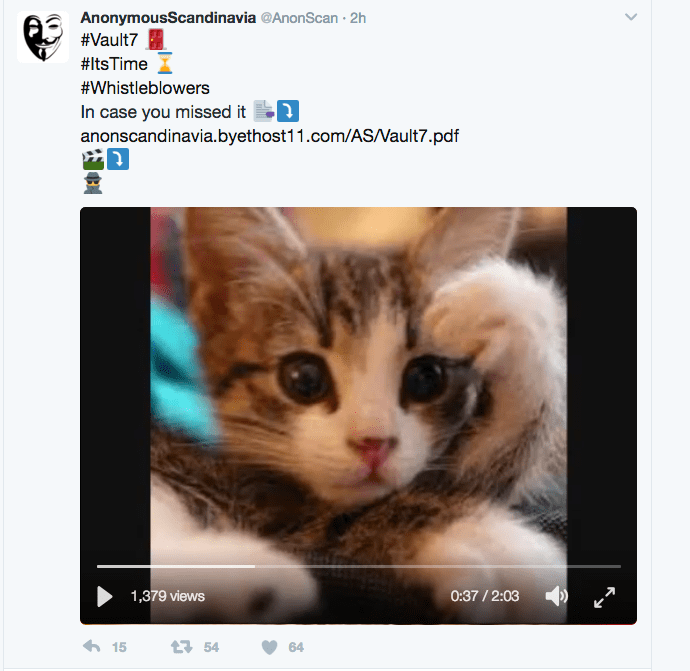 of email, new accts., etc. Server in basement of NY residence.” Yeah. So it sounds like Justin Cooper was knee deep in the shenanigans (did he get an immunity deal, too?). If we read further on in the document (which was not included in the @AnonScan video) we see more stuff about what Cooper was involved in as well as this mystery line, “JC + [redacted] concerned [redacted] had too much info &, therefore, may have had access to communications.” But I don’t think we need to concern ourselves with that because that person who had too much information probably suicided themselves in the back of the head months ago. Page 27 of the document also states that the individual being interviewed thought Hillary had been “added to server while still in Senate,” which I had never heard before, and that Cooper and good ol’ Huma thought it might be a “bad idea” to add her to it. Eh, but apparently they did anyways. There’s more about an “Exchange server” and “Apple server” but sorry, folks, I don’t know the significance of that. And that’s all I have for that video clue but I’ll add to this if I come across more information. So what does it all mean? Let me go pour that drink and get back to you. That could be a storyline. My conclusion: The chances are not bad for J to get a free passage to move to an ecuadorian embassy somewhere else in europe.